← Fairness or Fairy Tale? Target stores are raising their employees’ minimum wages to $11 per hour immediately, with a pledge to hit $15 per hour by 2020. This may seem like a victory for the Democratic platform to raise all workers’ pay to a livable wage, and in many ways it is. But it’s also an important victory for the free market, which is proving that the cyclical depression of workers wages was indeed a temporary, demographically driven problem which will be overcome. It just takes a tremendous amount of time – really a full generation. More importantly, it shows the direction of retail and possibly the service industry as a whole does have a future as an important part of a dynamic economy. Target isn’t in business for purely altruistic reasons, so we can presume that there is a business logic behind this move. As we have discussed many times, this is the year when the demographic pressures of Baby Boomers retiring coupled with an economy that has been moving towards full employment has created what will soon be identified as a general shortage of workers. Announcements like this from Target highlight what we know has already been happening. Workers wages have been steadily increasing lately, running about 2.3% overall gain from year to year with a net real (inflation adjusted) gain of 1.5%. It’s not much, but the trend is at least in the right direction. This is likely to increase as the shortage increases and good workers are harder to find. It’s not just about finding the right employees for a job, but a matter of retaining them. Every job has some level of skill, particularly for a large corporation with its own systems and corporate identity policies. Worker retention is going to become increasingly important, with demands for higher salaries weighed against costs for recruitment and training of replacements. Target is only getting ahead of the trend here. Target has always offered market-competitive wages to our team members. With this latest commitment, we’ll be providing even more meaningful pay, as well as the tools, training, and support … that set Target apart. 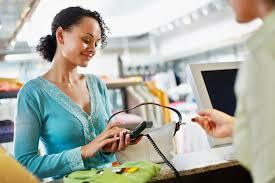 Retail is undergoing radical changes today. This is nothing new to the industry, which has always struggled to add value as trends and technology change. The latest threat, from online retailing, is the biggest change since mail-order became practical in the late 19th Century. Brick-and-mortar stores have to justify their high physical and operational costs in order to stay in business. Differentiation by service, while hardly new, is critical as low-cost bulk buying moves entirely online. You come to an established location not just for products, but for solutions. The in-store help is what makes the difference. The employees must be courteous, helpful, and guide you to products that you weren’t sure you wanted when you first came into the door. That doesn’t mean that online shopping growth is doomed. It does mean that we are beginning to reach steady state, especially as wages start to increase. The era of lowest possible prices for everything is starting to reach saturation. We can’t yet say that everything which can move online has, but we can likely see it from here. The look of desperation is totally unnecessary. Really. A comparison with Target’s largest competitor, Wal-Mart, shows the difference. The “lowest prices always” policy still makes sense with respect to items which are perishable, such as food, and anything which lends itself to impulse. But the big-ticked consumer electronics which offer larger margins are probably going to rely on either the efficiency of online purchase or the service which a Target or Best Buy can offer when it comes to picking the right item. The Wal-Mart model is probably doomed, at least in terms of constant, rapid growth. It shows in their stock price. 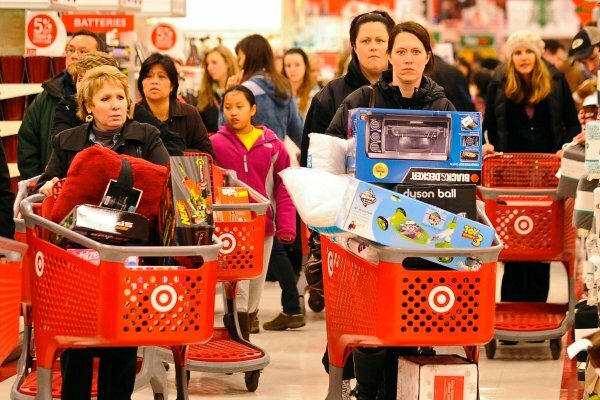 Why is Target so willing to raise salaries? It’s got to be tough for them to find and keep the best employees in this competitive environment. But it’s also important for them to be ahead of the curve and have the best employees to justify the overhead they have along with higher prices and the perception of greater quality. Workers are an important part of the service industry, and Target is just getting out ahead of the competition. The free market does work, at least in the long run. The demographic and cultural changes which have washed over retail and other services are finally being digested and normalized. They point to higher wages for workers all around. Expect more announcements of salary increases from other service industry companies in the next year as this trend continues. This entry was posted in Money, Nooze and tagged current events, minimum wage, News, retail, target. Bookmark the permalink. Some evidence of the turnaround? Good, it’s about time. You are right that quality service is the key but it’s still very hard to find.